Insurance Says I Love You — Really! Incorporating your business entity is just the very beginning – we help your business grow! You probably haven’t thought of your business like this, but really it’s just a series of agreements. Agreements with investors or lenders, clients and vendors, employees and independent contractors, partners and customers; the success of your business depends on your ability to make agreements and seal the deal. This is where most business owners struggle mightily and we can help. We love to create clear agreements, help you set boundaries and manage expectations. We know that the future of your business hinges on it. That’s why we won’t simply incorporate your business and send you on your way. Nope, every engagement with us begins with either a review of your current agreements or, if you don’t have any, the creation of the core agreements that are vital to your business. Then, we will proactively monitor your business activities to ensure we are helping you seal the deal on an ongoing basis. 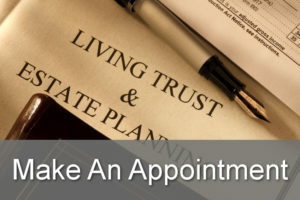 Plus, provide you with template agreements you can use to handle recurring agreements that come up consistently, such as those with your clients. We use an innovative agreement process that gets all parties on the same page and leads only to triple win situations – that means that an agreement has to be a win for you, the other party and the situation as a whole. If it’s not, no deal. You see, we understand that it’s your upfront agreements (and your/our ability to renegotiate those agreements) that will keep you in the flow of business and out of the crunch of conflict. If you have undocumented agreements (or no agreements at all), consider asking us to conduct a LIFT Foundation Audit and support you to take your business to the next level with the agreements your work deserves. During the LIFT Foundation Audit we will review your existing contracts as well. VM Gokea Law Group, PLLC.